LOL !!! 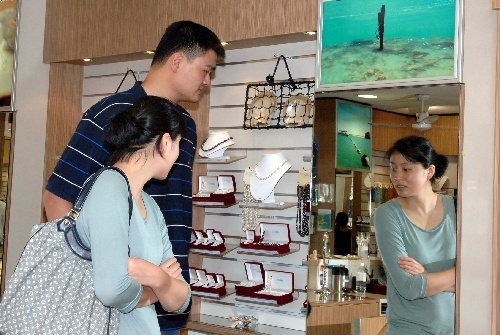 Yao Ming and his wife Ye Li took some time off this morning to stroll and shop in Broome. 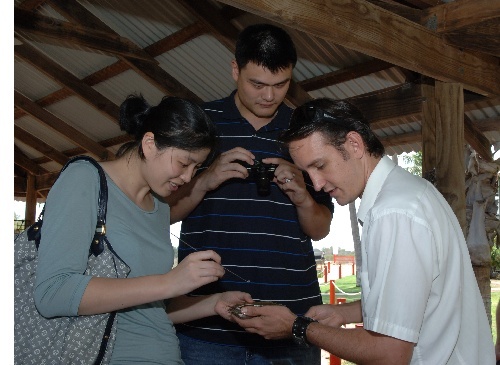 They came by a jewelery shop, learnt about how pearl was produced, and Yao Ming bought a pearl necklace for his wife, sort of contributing to the Australian economy. Yao should invest more money into his team to train more players. He should learn from the Dongguan teams how its done. Did you know Yao Ming is the POOREST OWNER out of the 17 CBA teams??? Most of the CBA teams are owned and run by either municipal/provincial sports bureau, that use sponsorship money or taxpayers' money. Teams like Guangdong Hongyuan, Dongguan New Century, Zhejiang Guangsha, Xinjiang Guanghui are privately owned, and their owners are all within the Top 20 of the richest billionaires of China. And their investment on their team could be easily expensed or be tax-deductable from the many businesses these billionaires owned. But NOT FOR Yao Ming and the Shanghai Sharks. Except for sponsorship money of 10M RMB annually from MAXXIS Tires and the gates receipts from every season, EVERY PENNY of the running cost of the team (salary of the coaches, coaching staff and players, travelling expenses, daily running costs etc. etc. etc.) has to be paid out of the pocket of Yao Ming. Therefore he has to be very careful and selectively NOT TO WASTE MONEY in picking expansive but not efficient coaches and expat players. So Dan Panaggio, the newly appointed Head Coach of Shanghai MAXXIS Sharks had also arrived into Broome from USA, and was seen here watching the game with Perth Wildcats together with Yao Ming by the courtside. So after their 66 ~ 23 humiliation by Perth Wildcats, the Shanghai MAXXIS Sharks left Broome to return to Perth. They played their last game there with the Singapore Slingers yesterday (October 3rd). 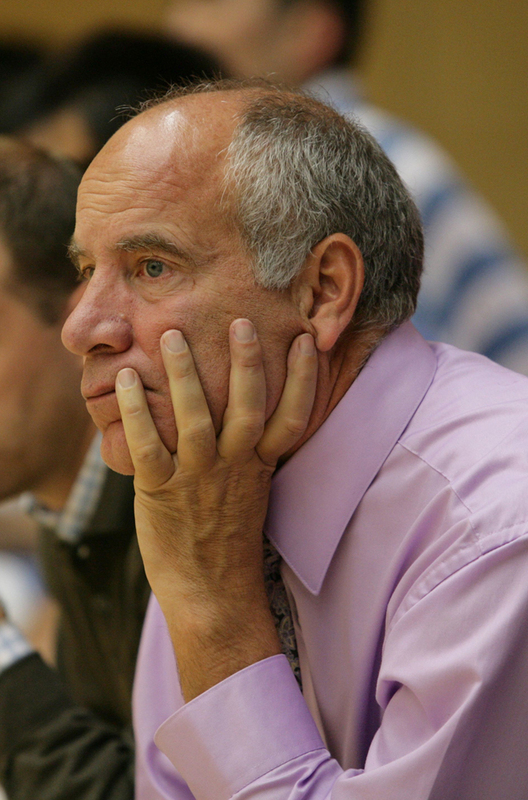 Under their newly appointed head coach Dan Panaggio, Shanghai MAXXIS Sharks managed to win 90 ~ 71. 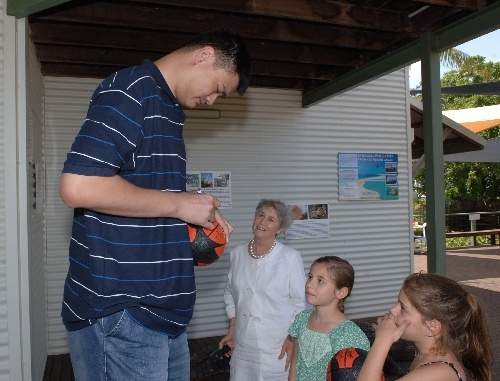 Yao Ming and the Shanghai MAXXIS Sharks then left Australia to fly back to China. Photos of Yao Ming, Ye Li and Dan Panaggio at the court side of this game with Singapore Slingers. 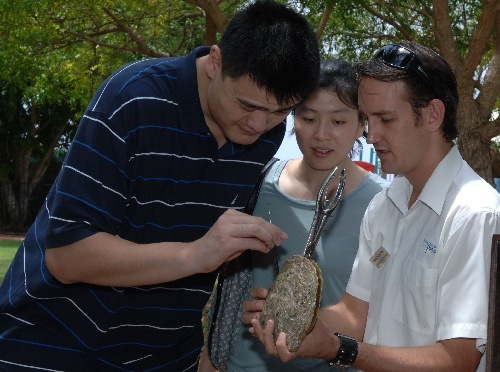 Yao Ming and Shanghai MAXXIS Sharks should have left Australia already and flown back to China already. Here are some photos just become available, taken on the day that the Shanghai MAXXIS Sharks suffered a heavy defeat at the hands of the Perth WildCats (October 1). 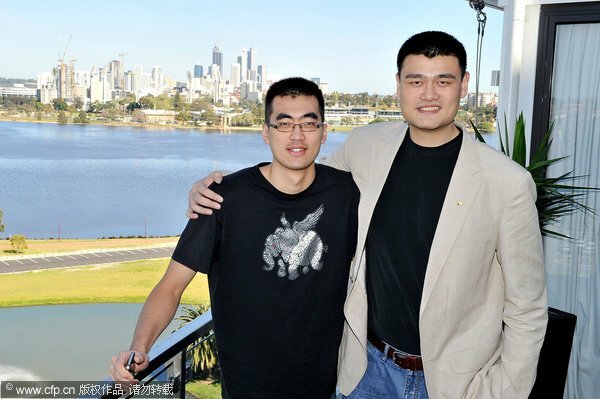 And that photo of Yao Ming and Max Zhang Zhaoxu was taken in Perth on the day of their arrival. Big Yao is SO HUGE !!! Max Zhang Zhaoxu is already 2.21M/7 ft 3 tall, but standing together with Big Yao, Max seemed at least ONE SIZE SMALLER !!! There is no way Max zhang was standing straight. They are just 2 inches different in height, 7'3 vs 7'5. 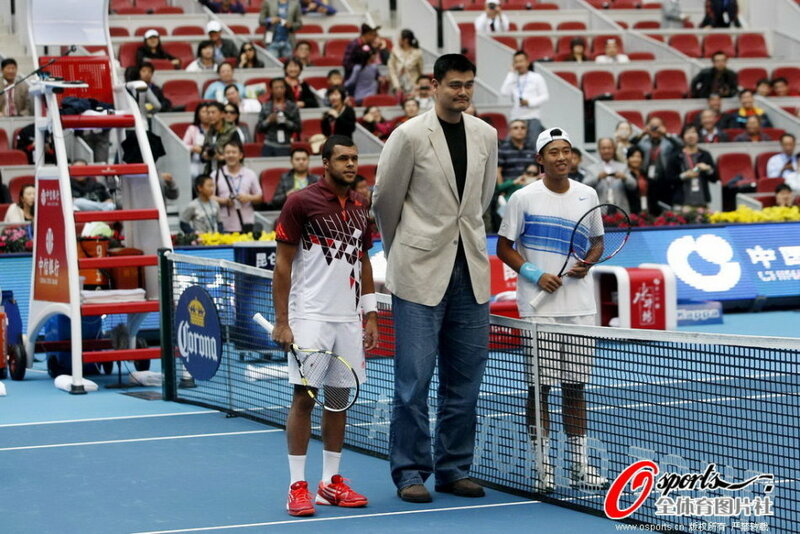 Yao must be wearing his wife's high heels. 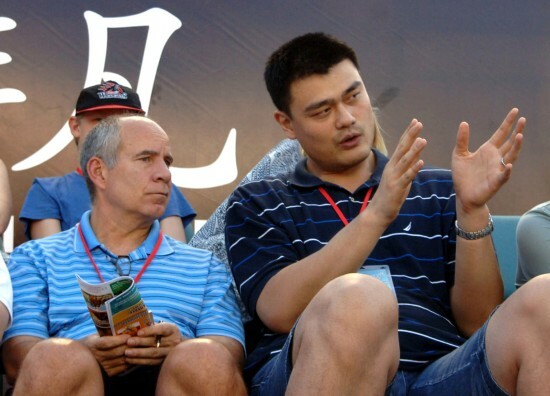 Yao should take this chance to act as mentor for Max zhang. Yao should have more kids for his country. Yao is also making a lot of money from his online music website, so he should invest more into his team. Yao Ming's endorser China Life Insurance is the Diamond Sponsor of 2011 China Open currently in progress at the Olympic Green Tennis Center in Beijing. So right after his trip to Australia, Yao Ming did not fly straight back to Shanghai on the 4th, but directly back to Beijing to be participating in China Life Insurance Customer Day this afternoon (October 6) in the 2011 China Open. He spent sometime signing autographs, sending out free tickets, and take photos with the fans, before appearing as a special guest in the centre court in a Round 2 match between Chinese wild card player Zhang Ze with top seed Jo-Wilfred Tsonga of France. He was asked to pick side for Zhang Ze, and he spoke a few words to the crowds, and also words of encouragement to Zhang Ze and took photos with both players. He stayed a while to watch the game, which ended with Jo-Wilfred Tsonga easily beating Zhang Ze 6 ~ 3, 6 ~ 4.